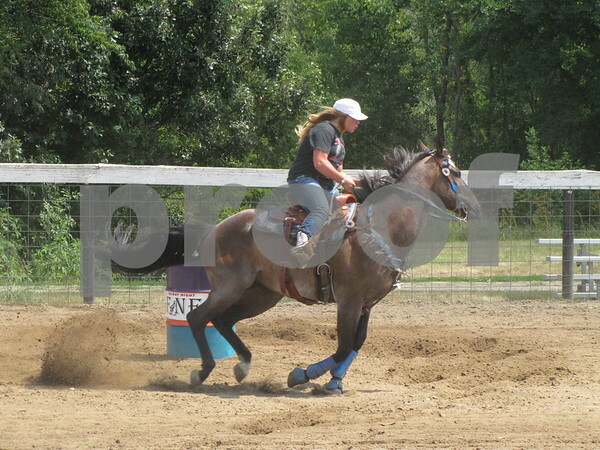 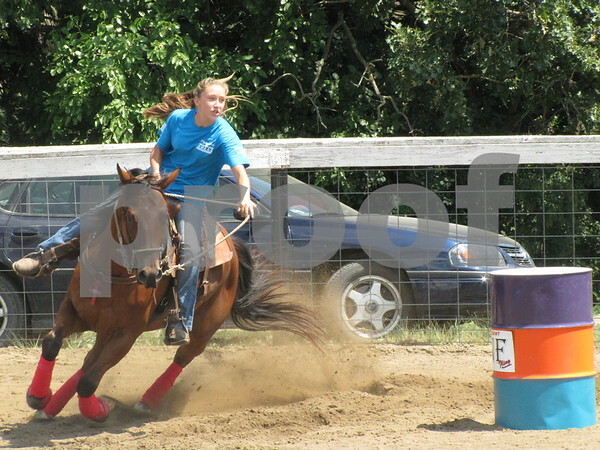 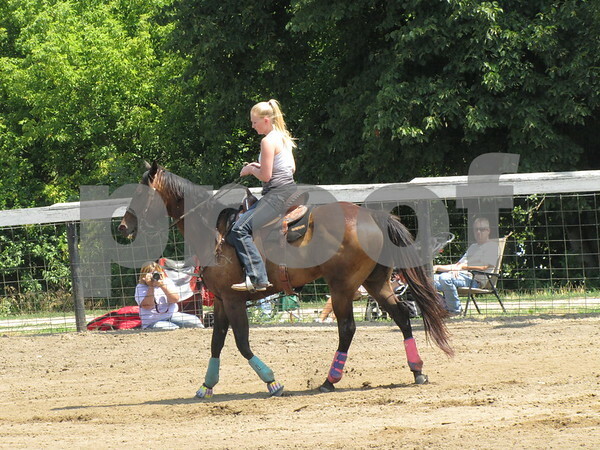 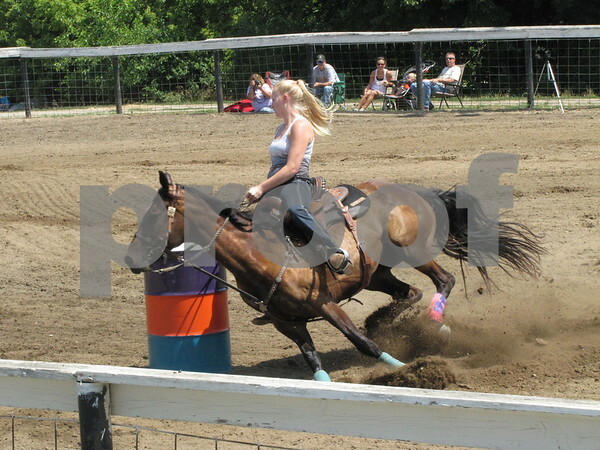 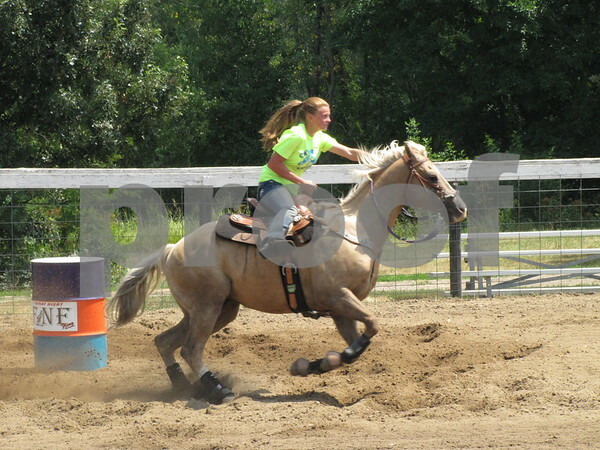 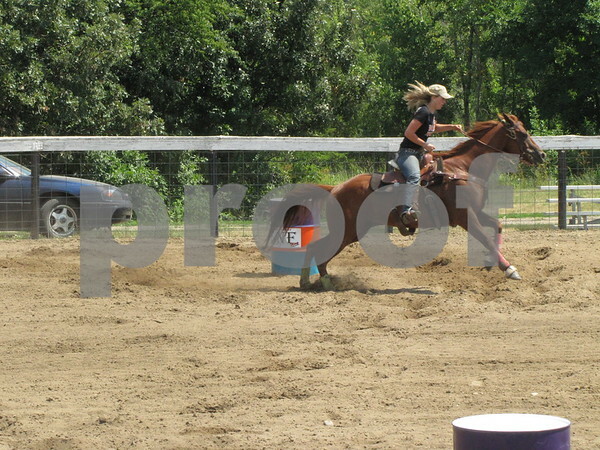 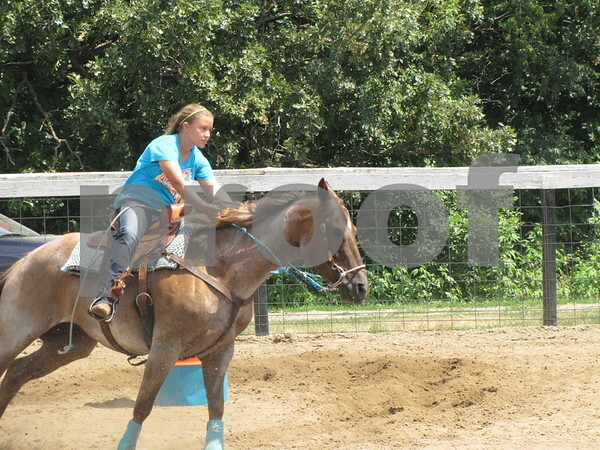 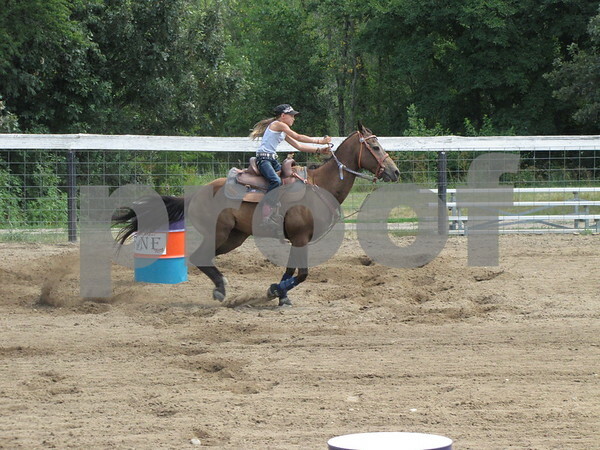 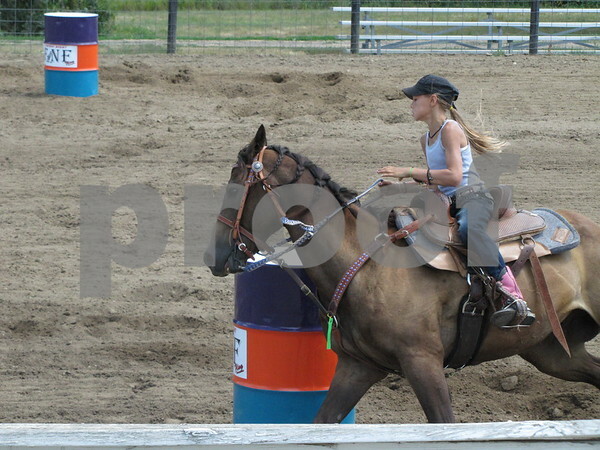 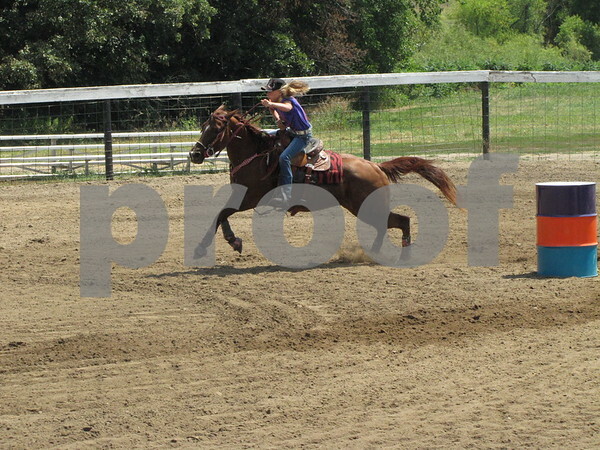 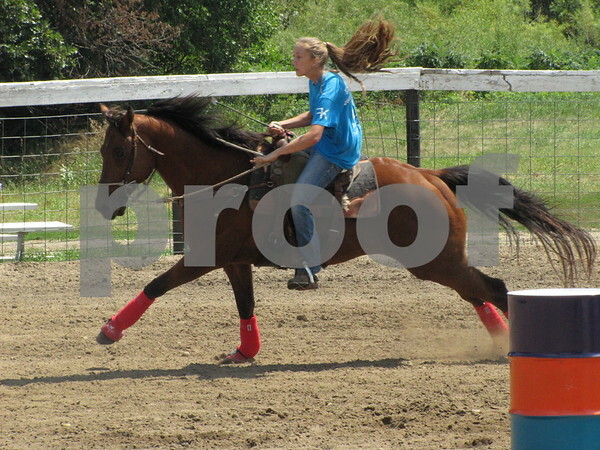 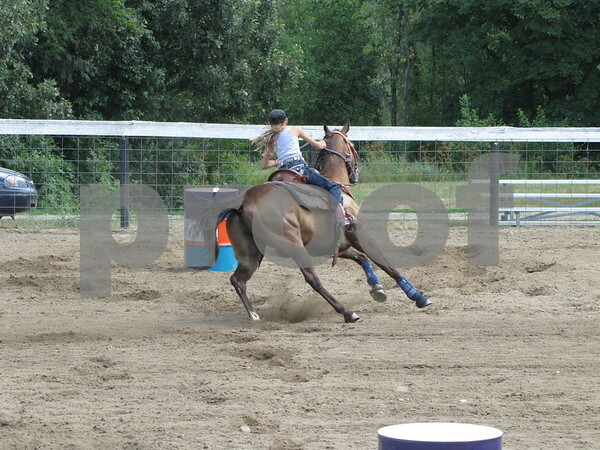 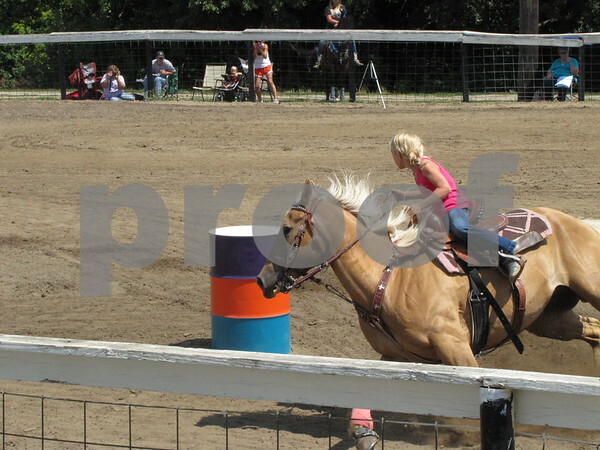 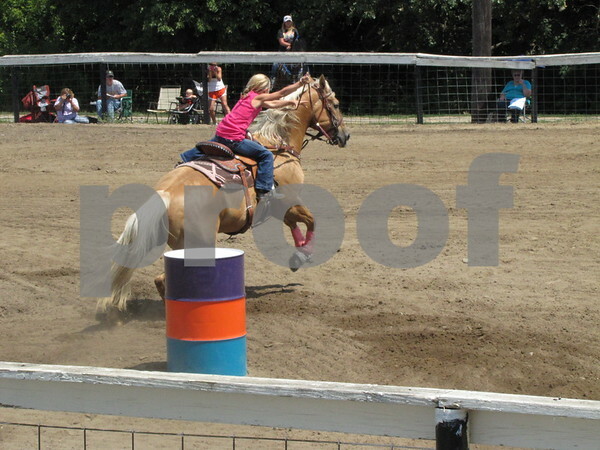 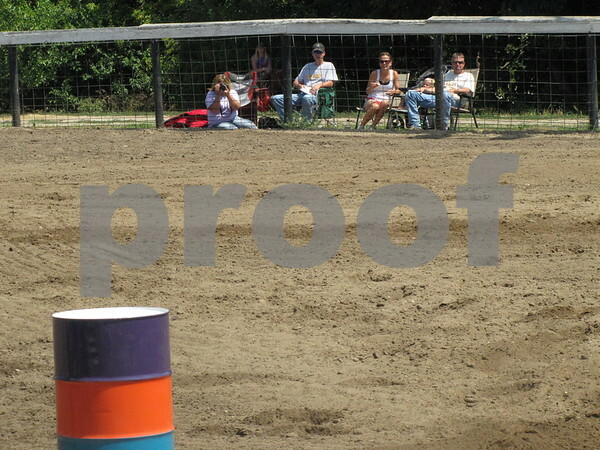 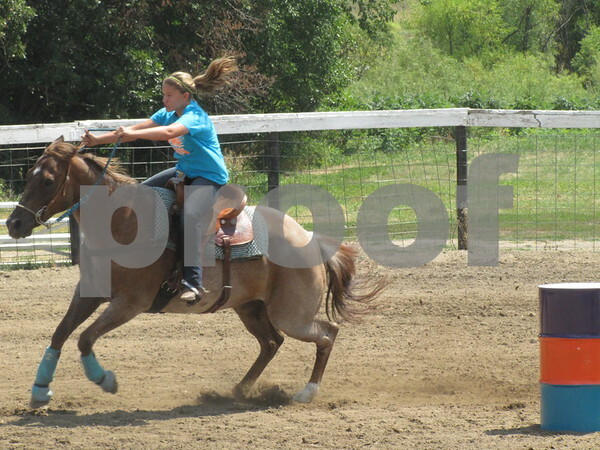 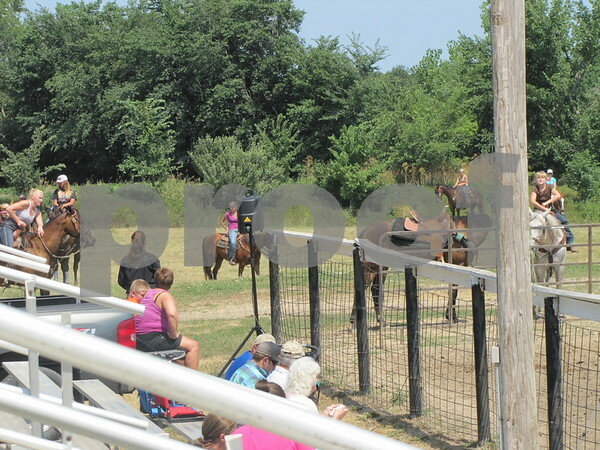 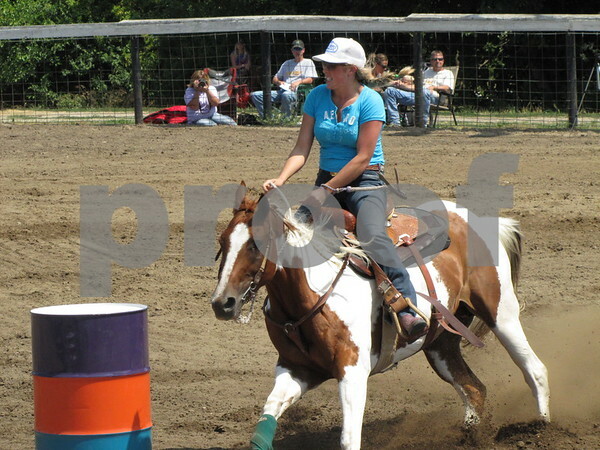 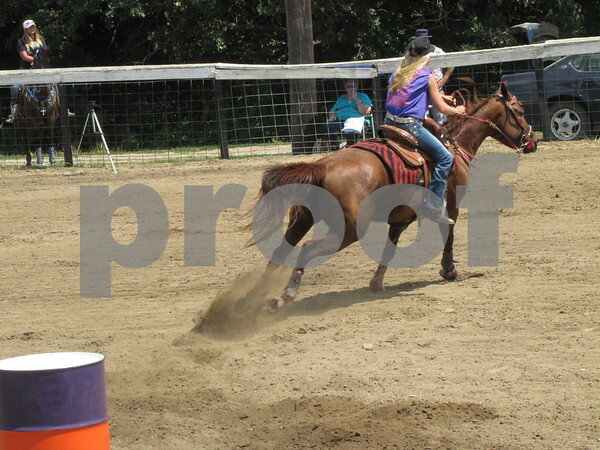 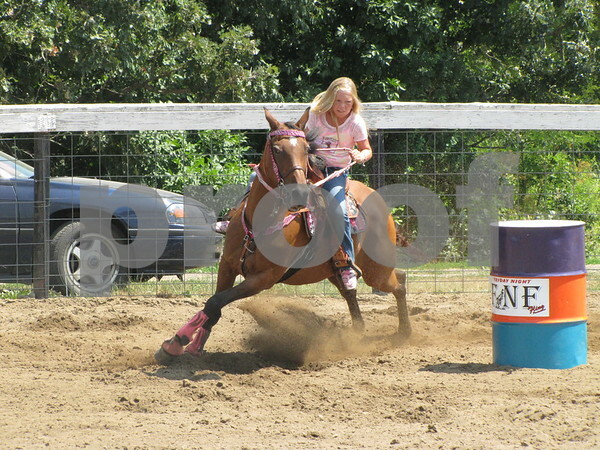 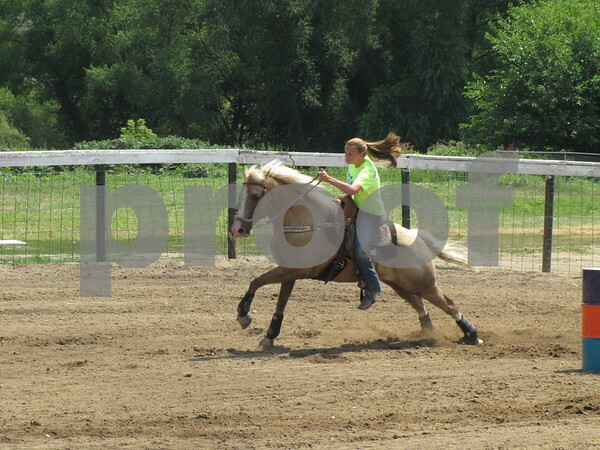 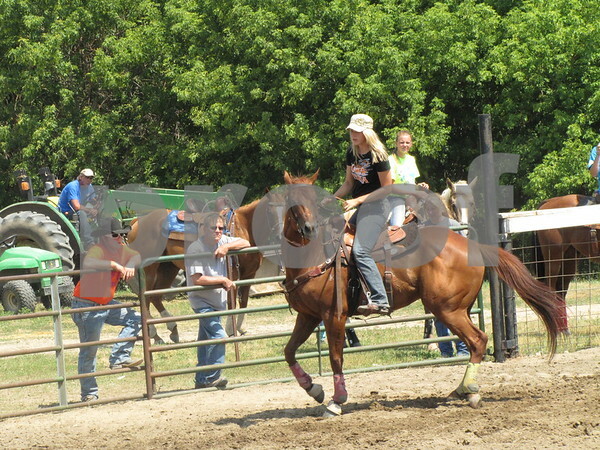 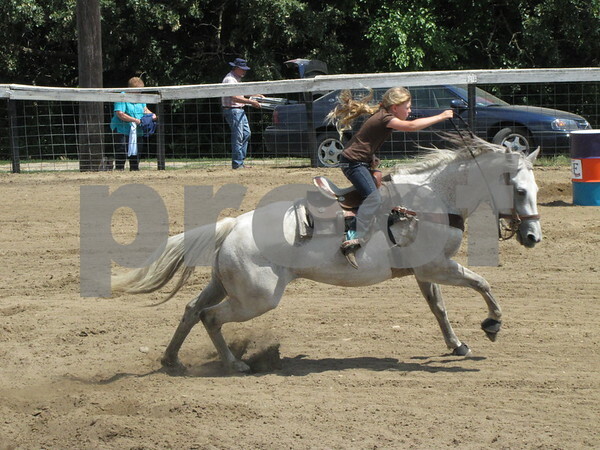 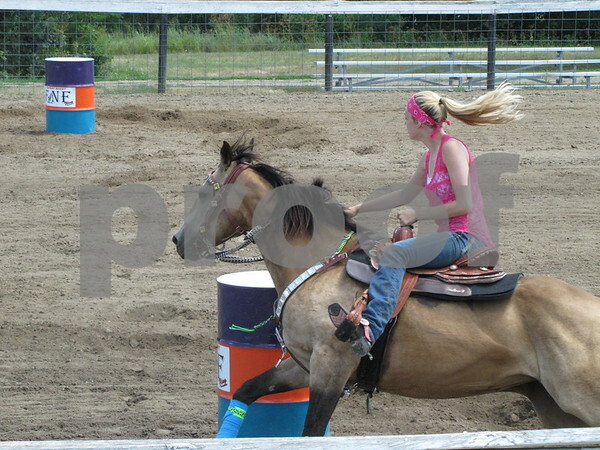 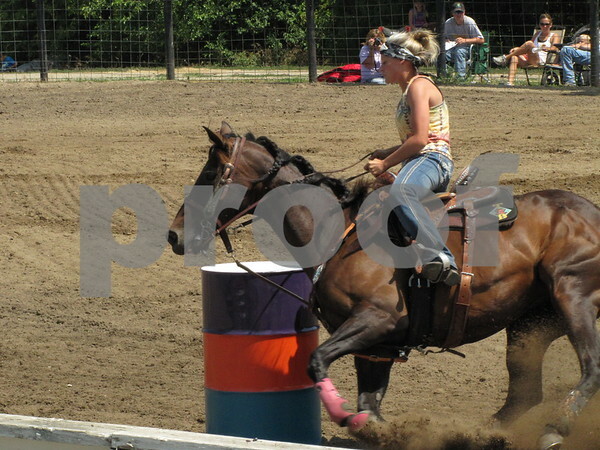 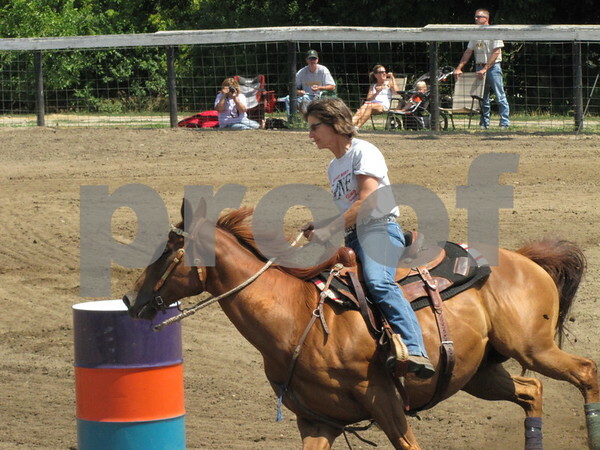 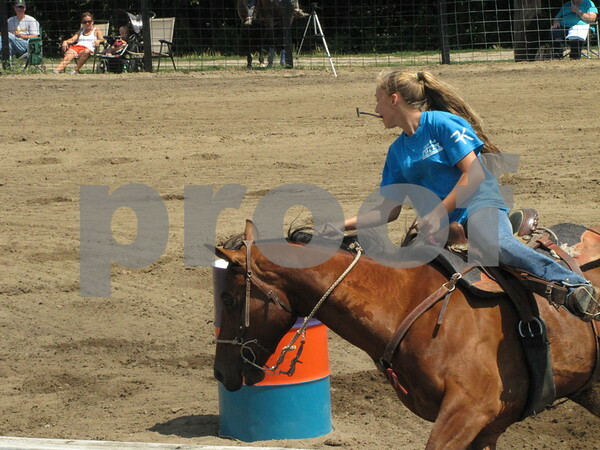 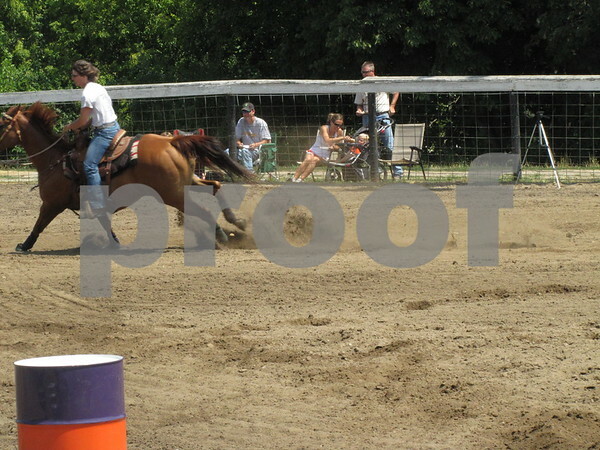 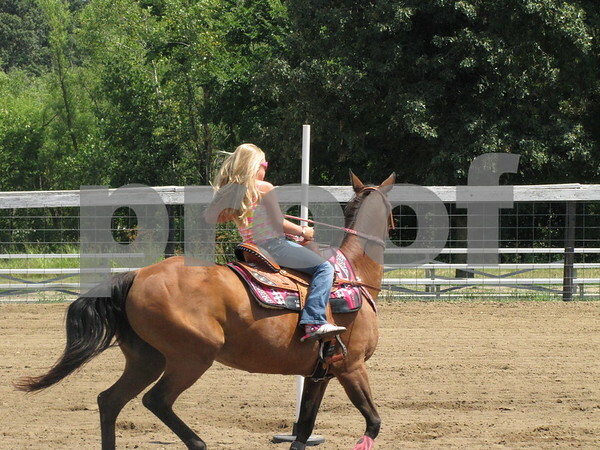 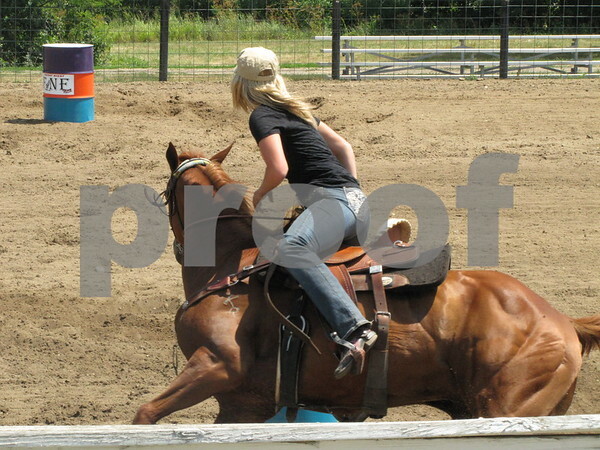 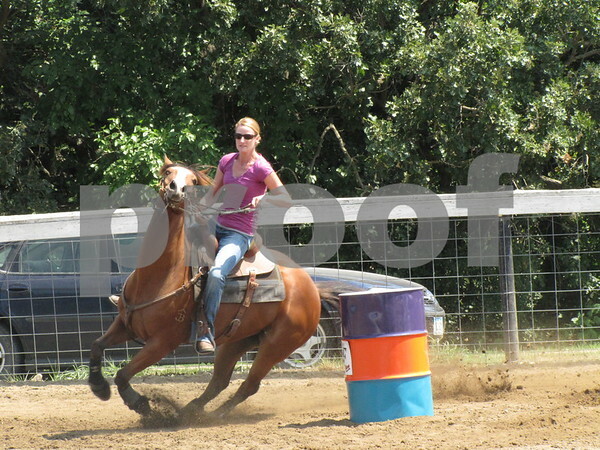 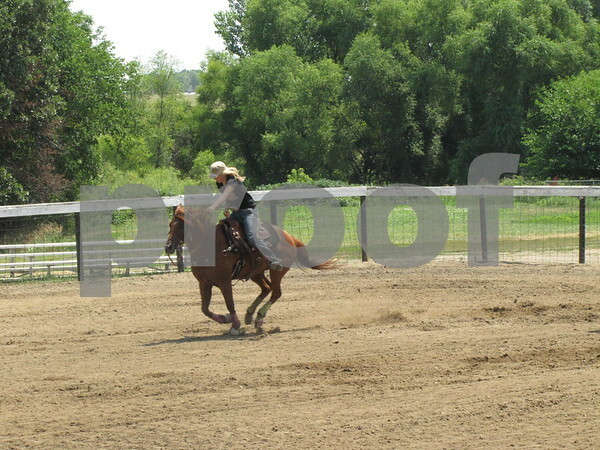 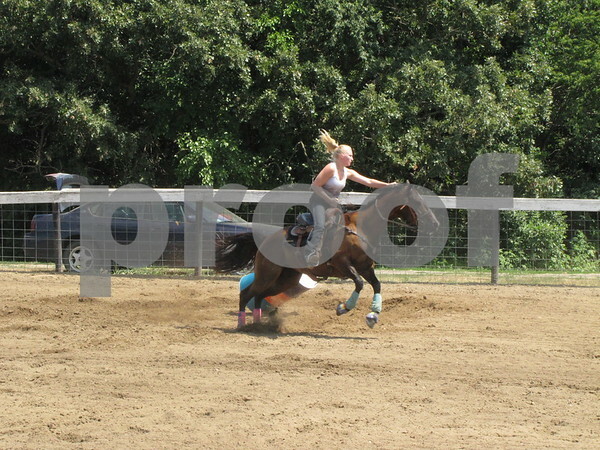 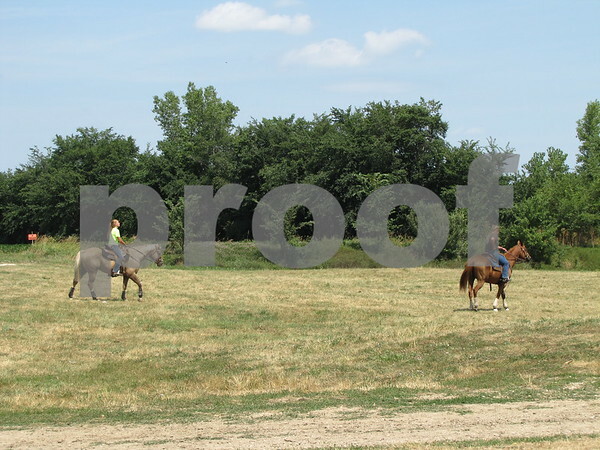 Barrel racing competition at the Webster County Fairgrounds near Fort Dodge. 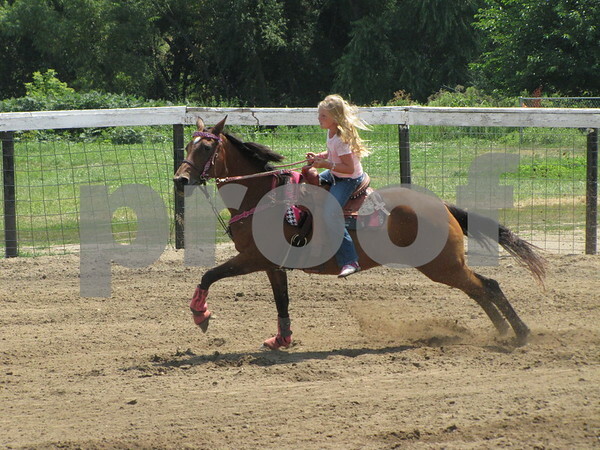 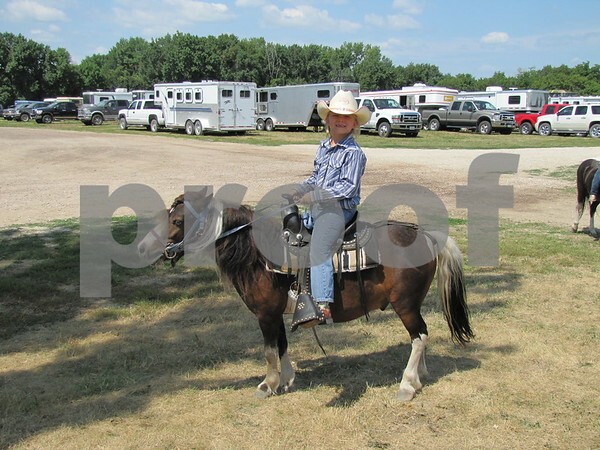 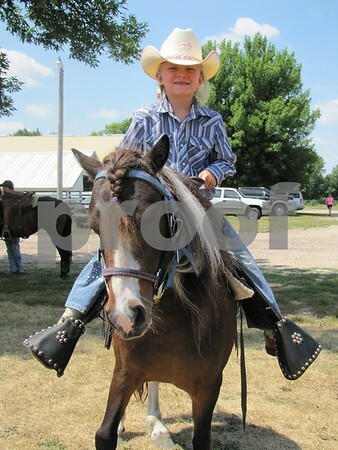 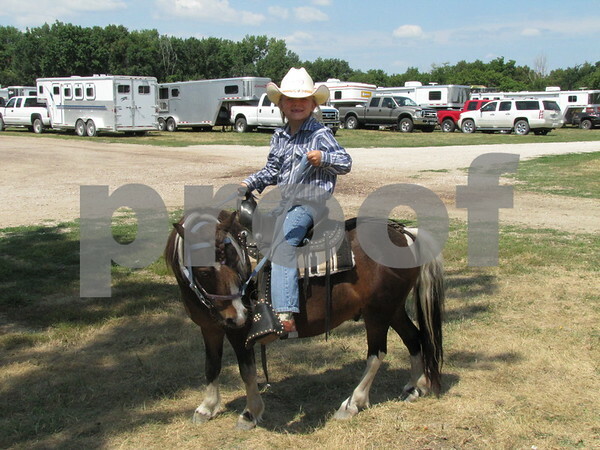 Lily Genter on her pony "Popcorn". 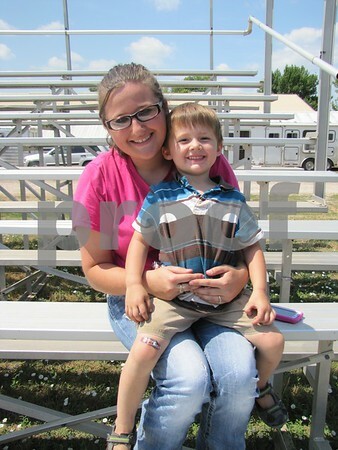 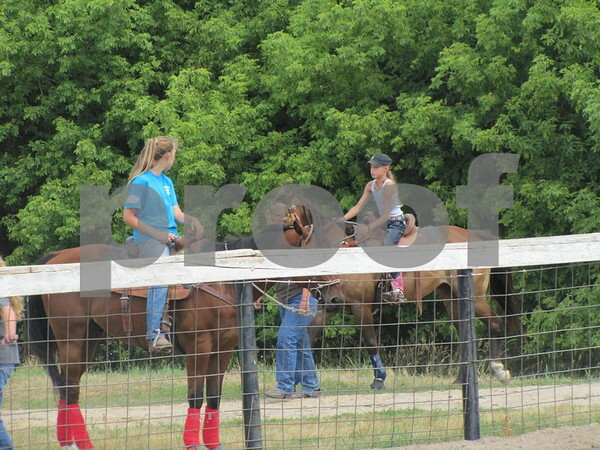 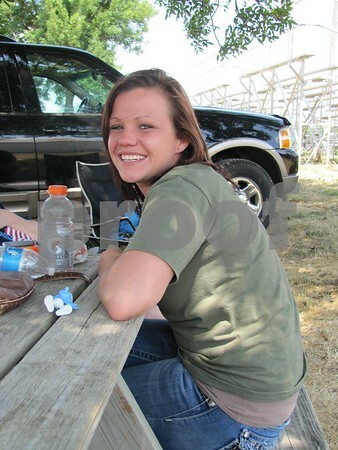 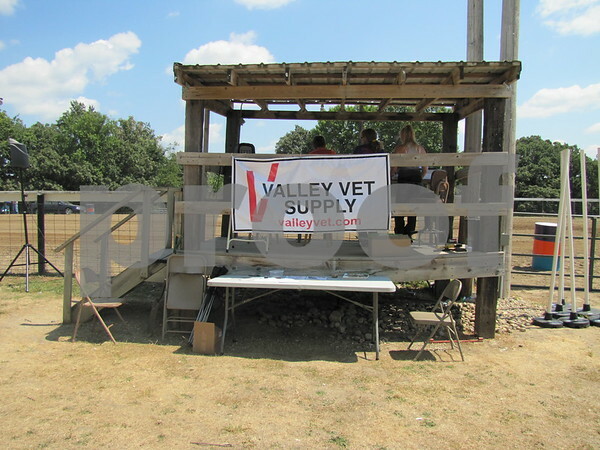 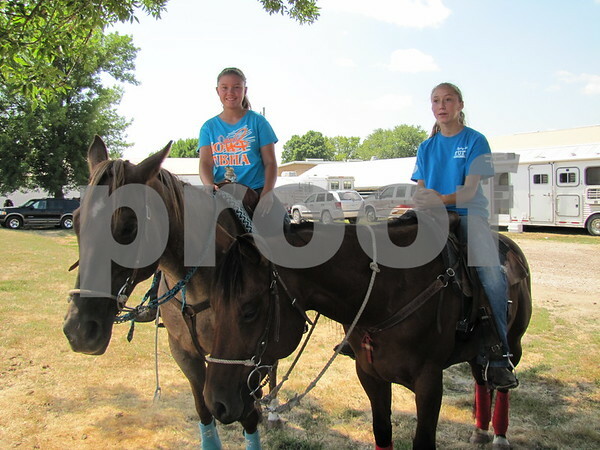 Leah Hovey enjoyed the shade between watching the barrel race events.